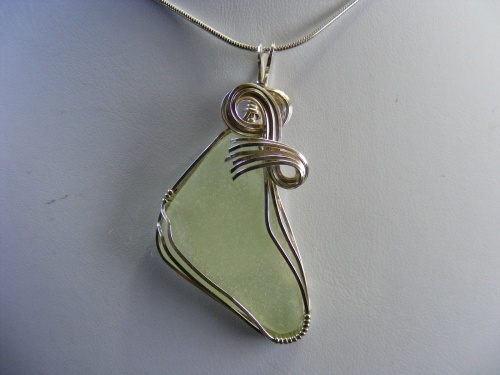 This piece is such a pretty color in its pastel green embelished with the sterling silver curls. Makes it one of a kind and will match almost any outfit. Measures 2" from top to bottom and 3/4 wide and comes with a sterling silver snake chain.